Wed Sep 12 01:33:12 +0000 2018 @alyssa.milano tweeted. 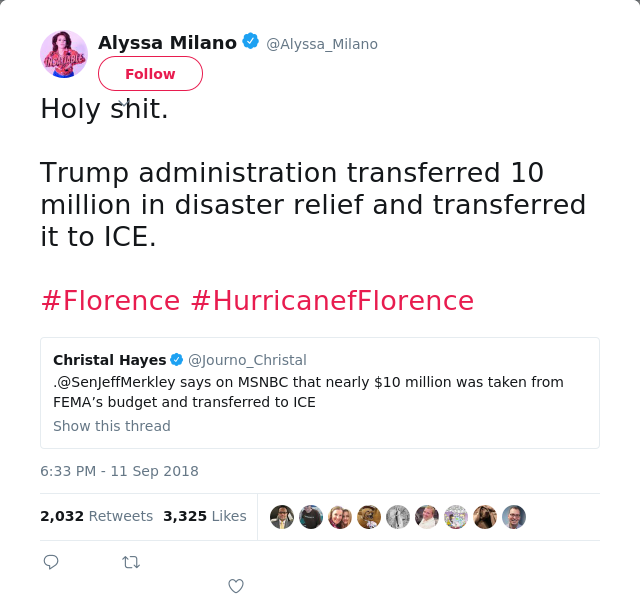 Trump administration transferred 10 million in disaster relief and transferred it to ICE. Have you tried STEEMRail.com? Fun way to RESTEEM. Brilliant, they can evacuate all the illegal aliens all the way home!